The effervescent colour tones are back in orange and yellow, offering a lively and original touch to your terrace or laundry space. 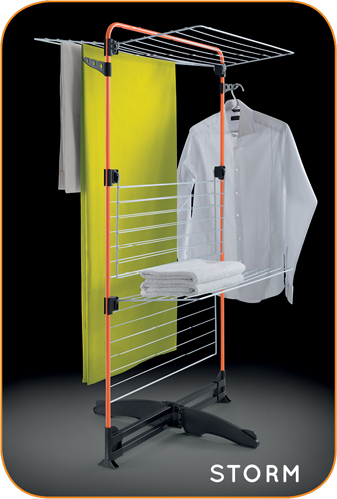 The 3-tier vertical laundry dryer that adapts to large and small spaces. Up to 34 meters of drying length, when fully open. Easy loading unobstructed foldable grids, ideal for drying large towels, bed sheets or curtains. Structure can be folded in half, adapting easily to small spaces. Exclusive Epothetherm® coating on grids, adds sustained protection for outdoor usage. 5 years garuantee. 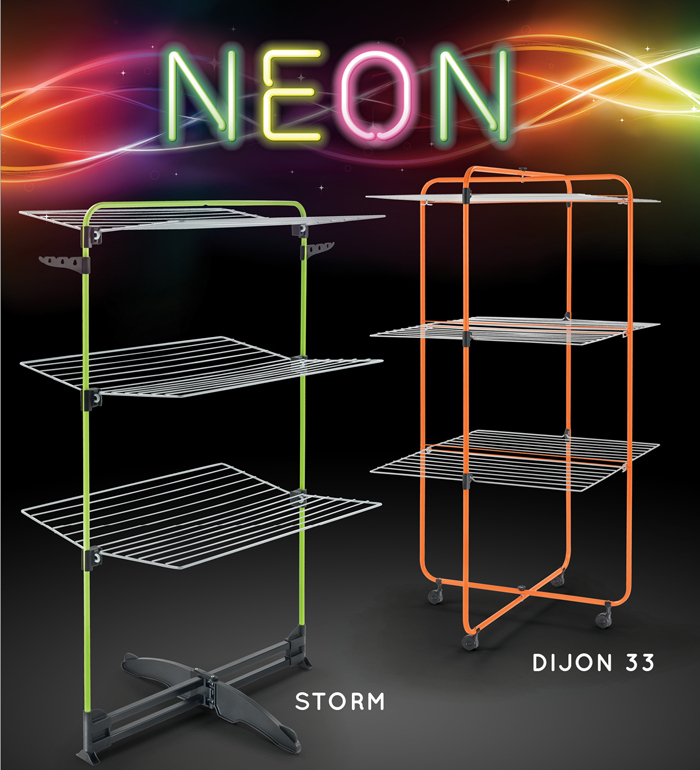 Includes 2 practical clothes hanger holders: for hanging and drying shirts and jackets. Compact: when not in use, grids and feet can be all folded, making it easy to store away. The 3-tier vertical laundry dryer on wheels. Up to 33 meters of drying length, when fully open. 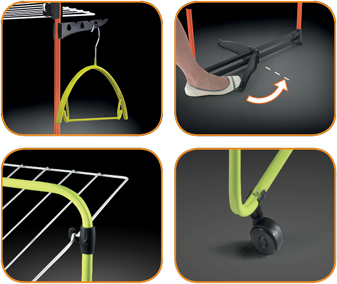 Includes 4 swivel-wheels to move it freely around the house, from the laundry… to the bathroom… to the terrace etc. Has 3 pairs of foldable grids, for loading flexibility. Making it easy to dry towels, bed sheets, etc. Compact: when not in use, can be easily folded, making it easy to store away.